Call ahead, 315-533-6542 for special appointments to cut your Christmas Tree. We will cut a tree before Thanksgiving if one is needed. Our Christmas trees and Christmas wreaths are Award winning! 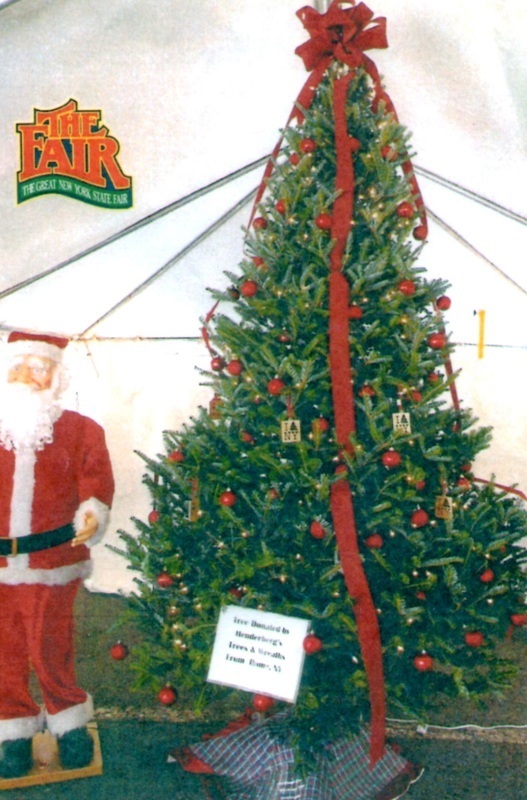 We have won various awards in the New York State Fair, Christmas Tree Farmers' Association of NY competitions and even Nationally. You will not be disappointed! Fresh Cut and Cut Your Own Table Top Size Christmas Trees up to 15' Tall. Nice Selection of Tall Christmas Trees. We also have Drilled Christmas Tree Stands and we net all Christmas trees for the ride home. We shake all of our trees to ensure they are clean before they get into your home. At no extra cost! 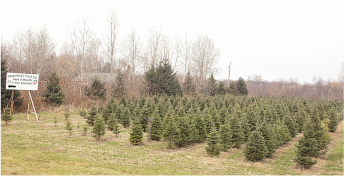 We grow and sell Fraser Fir, Balsam Fir, Cannan Fir, Blue Spruce, and White Spruce Christmas Trees. We can help you put your Christmas Tree on your car and offer wagon rides and more on weekends at the Christmas Tree farm. See our Christmas Wreaths page for a gallery of our photos! We make and sell Christmas Wreaths of all sizes and we can ship Christmas wreaths for gifts. We do special orders and prices start at $8. Check out our Christmas Wreaths!